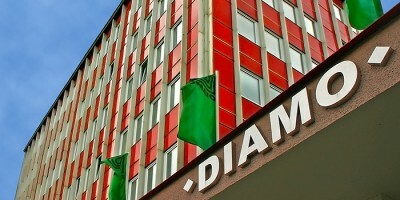 DIAMO, state enterprise, with its registered seat at Stráž pod Ralskem, is an organisation dealing with elimination of consequences of mining activities after uranium, ore, and partially also coal mining in the Czech Republic. 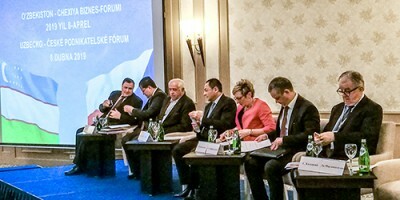 The SUL branch focusing on the management of uranium deposits takes care of mining and treatment capacities of uranium and other crude ore deposits where disposal is underway on the territory of the Czech Republic except the North Bohemian region and mine water treatment in the Příbram region. The TÚU branch focused on uranium mining and processing and based in Stráž pod Ralskem has been conducting exclusively mining activities since 1996 - in particular, it takes care of disposal of the local mining unit. This involves the remediation of the bedrock environment affected by chemical uranium mining, disposal of abandoned facilities and technologies, and subsequent revitalisation of the landscape. The GEAM branch Dolní Rožínka, since the end of commercial exploitation of uranium in 2016, conducts disposal work as part of the removal of consequences of mining activities. This involves rehabilitation of the bedrock environment affected by deep-mining of uranium, removal of abandoned facilities and technology, and subsequent revitalisation of the landscape. The ODRA branch in Ostrava manages closed-down mining sites and removal of the consequences of mining activities in the Ostrava region, including remediation and rehabilitation. This branch maintains the level of mine waters by controlled pumping, pays social and health benefits to former miners, and provides protection from methane throughout the region.